The hit show Attack on Titan is reimagined in this feel-good junior high microseries! See all your favorite characters getting into middle school shenanigans complete with secret love interests, class presidents, and chaotic cultural festivals. 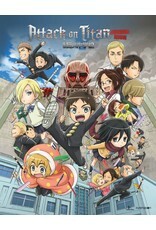 Eren and his friends are the hapless first-year students at Attack Junior High, a unique school for both humans and Titans alike. That's right... Titans go to class, too - in their own gigantic classrooms with their larger-than-life school supplies and benches as big as buildings! And while most humans are happy to avoid the massive monstrosities, Eren will stop at nothing to exact revenge on the hungry Titan who ate something more precious than human life - his mom's homemade chee-burg bento! 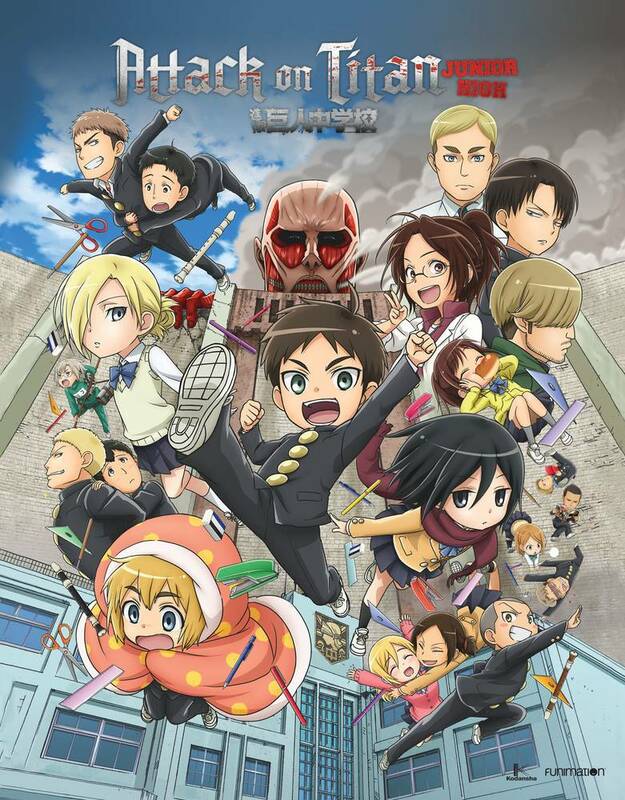 Join the secret Scout Regiment as they plan to stop the Titans while Eren masters the omni-directional mobility gear to clean the massive wall surrounding the campus.